Vermont has long been a bastion for twang. From folk and bluegrass to rockabilly and country, mountain music is as much a part of our denim-patched cultural fabric as dairy farms and progressive politics. But in recent years, one particular strain of the ever-nebulous Americana idiom has seemingly gone missing: melodic alt-country. That trend is at least partially because, after experiencing a boom in the early to mid-2000s, the pop-minded country/rock hybrid has somewhat faded in the larger consciousness. But good songwriters with a grasp of both genres' fundamentals and an ear for sticky melodies will always find an audience. For example, Derby-based tunesmith Kyle Chadburn. Chadburn is likely best known as a founding member of Northeast Kingdom rockers Evansville Transit Authority. But on his debut solo album, Faded Colors in Darkened Skies, the guitarist reveals a more nuanced and ambitious side — not to mention an affinity for the likes of alt-country darlings the Jayhawks, Nickel Creek, and early Wilco and/or Son Volt. A cynic might suggest that Chadburn's freshman outing comes about a decade late. That's not to say his sound is necessarily dated — twangy songs about heartache are effectively timeless. But his particular brand of alt-country probably would have found more eager ears in 2007 than 2017. Still, Chadburn's music plays well in any era. Faded Colors opens with "Ferris Wheel." Recalling early Old Crow Medicine Show, it's a nostalgic, mid-tempo tune colored by lilting fiddle, ringing guitar and a heaving backbeat. Chadburn sings with a pleasant, easy tenor rasp that recalls a young John Mellencamp or perhaps Bryan Adams. Chadburn guns the throttle on "A Long Hard Ride" with a searing guitar solo and a series of angst-ridden verses. As a songwriter, he has a tendency to rely on genre tropes — decks of cards, trains, etc. But his earnest delivery helps steer him away from outright cliché. "Gasoline" is an album highlight. Built around a chicken-pickin' guitar riff and a classic train beat, the song features Chadburn's best writing and some truly memorable hooks. Every good alt-country record needs at least one exultant 6/8 ballad. Chadburn obliges on "Annabelle." It's a sweet, heartfelt love song featuring dovetailing fiddle and mandolin runs that ably tug at the heartstrings. Production-wise, Faded Colors sounds magnificent. It's little surprise, given that central Vermont Americana ace Colin McCaffrey engineered — and contributed his talents as a multi-instrumentalist. Few local producers have such command of Americana's sonic aesthetics. And that skill pays off grandly on Chadburn's promising debut. 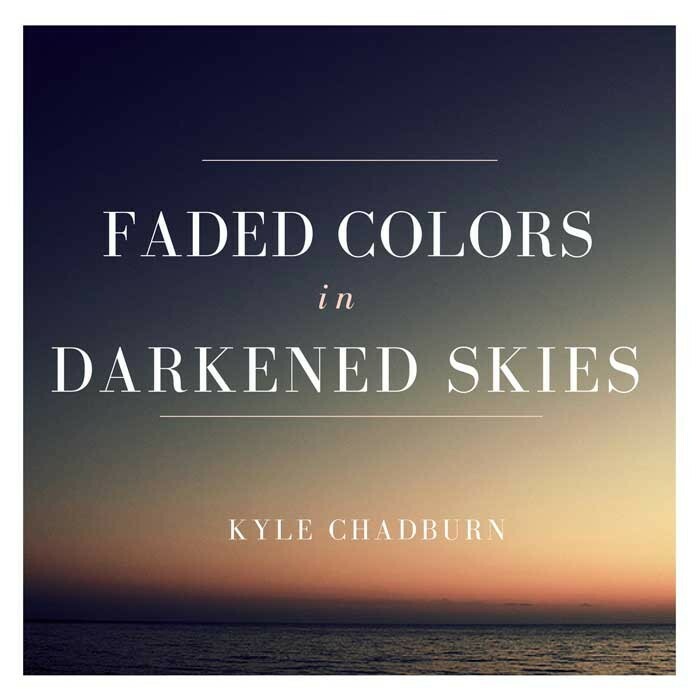 Kyle Chadburn performs on Saturday, June 17, at Radio Bean in Burlington. And he plays a release party for Faded Colors in Darkened Skies on Saturday, June 24, at Parker Pie Co. in West Glover. The album is available at CD Baby, Amazon and iTunes.